Start Licensing’s Ian Downes heads to London Book Fair to find some publishing innovation. Another week, another trade show. This week I visited the London Book Fair at Olympia. As an ex-publishing man, this is a show I really enjoy not least as licensing and publishing have always been close companions. Some of licensing’s most successful and enduring properties such as Harry Potter, Peter Rabbit, Asterix and Beano have their origins in the publishing sector. Furthermore, in many ways a lot of authors and their books are treated as brands and in some respects ‘licences’ by publishers these days. Publishers are also more ‘licensing’ aware, looking to engage with rights holders to develop new products and, conversely, also looking to develop their brands through licensing. A great recent success story of a property crossing over from the book shelf to the merchandise aisles is the Vintage Ladybird programme. 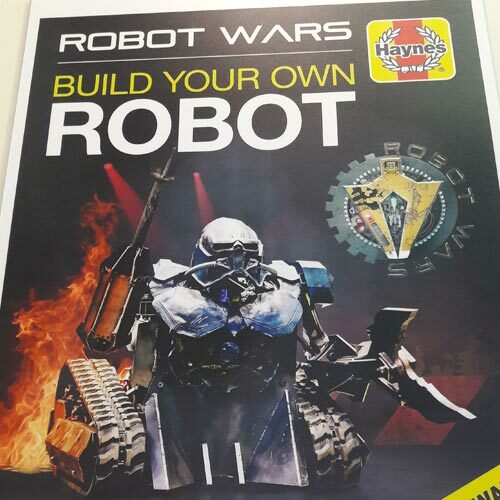 Haynes Publishing promoting and launching its Robot Wars publishing programme. The lead title featured on its stand. A clever application of the licence which seems very ‘on brand’ – a Make Your Own Robot book and kit. Given the build a robot nature of the TV series this is a natural development, but nevertheless sensible to kickstart the programme with this title. A good foundation for further publishing products and a well chosen partner. Haynes is highly regarded for the quality and presentation of the ‘information’ in its books. Carlton Books was showcasing a very novel range of books based on Game of Thrones. 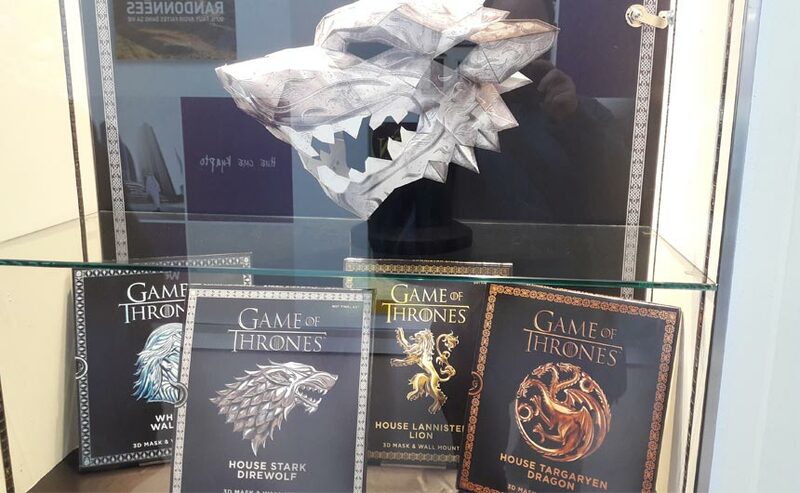 Again these were ‘make and do’ books – in this case a kit to make Game of Thrones masks accompanied with a wall mount for display purposes. This is a good example of how publishers are increasingly looking to develop books plus – books which come with kits or added value elements. This is in part linked to the changing face of book retailing. These Game of Throne books would have been expensive to develop, but as an internationally minded publisher I am sure Carlton is confident it will recoup its investment with international sales. It is also developed with the brand’s fans in mind: the publisher is not forcing a brand into a set format, rather it has developed a format to suit the brand. On my way to the book fair I saw a great little window display for Paddington in the local Waterstones branch. 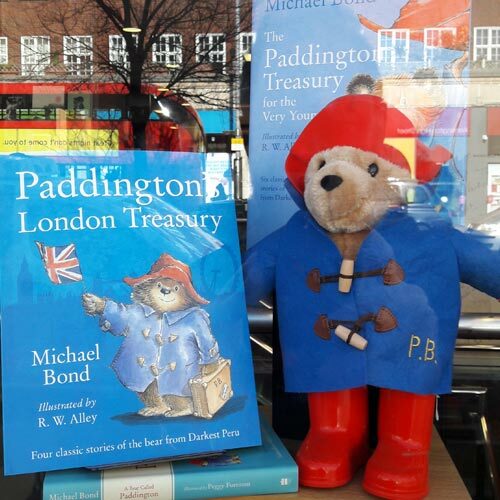 Two books side by side with a feature Paddington plush. A reminder of how books and licensing can help each other at retail and retailers can trade up by clever cross selling. Back at the show, I noticed a few examples of publishers using computer game and interactive brands to create books. A further recognition that especially in the children’s sector there is commercial mileage in taking digital ‘new’ media properties into ‘old’ media formats such as novels. One example of this was The First Ever Official Minecraft Novel – Minecraft: The Island written by Max Brooks. This is being published in July by Penguin Random House. A further interesting example of this crossover was on the Scholastic stand. A range of Angry Birds books which were pitched into the education market – with the publisher leveraging the equity in a popular property in a publishing category that has traditionally been a little conservative. I would expect to see a lot more crossover of properties and brands from ‘new’ media to ‘old’ formats as these brands engage younger consumers. 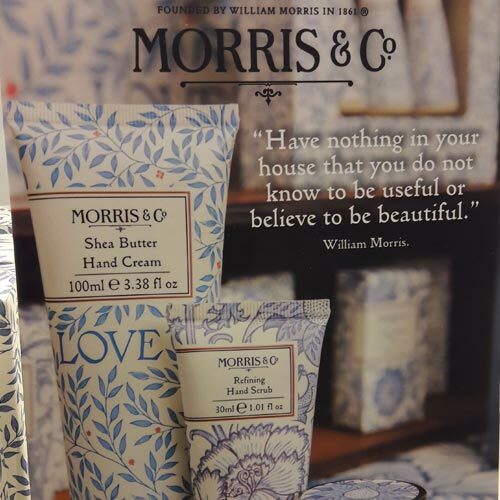 Outside of the hurly-burly of Olympia, I noticed the classic William Morris ‘design’ brand being used in the toiletries category in a very eye-catching way. The range carries the Morris & Co branding along with the Love is Enough message. The products are presented as gift packs, presumably targeting the Mother’s Day market. It is good to see a fresh approach in this category and a licensee making great use of an iconic design palette. Morrisons is backing Me To You for Mother’s Day with a food gifting range from Kimm & Miller. 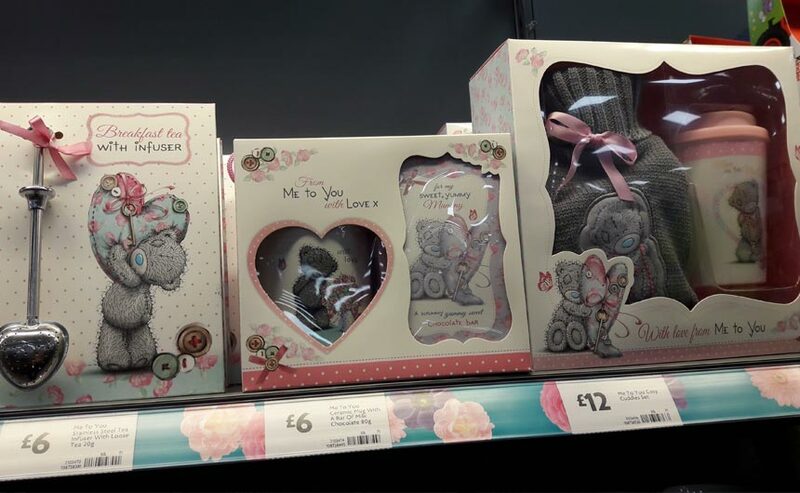 This is an encouraging sign for licensing – firstly seeing Morrisons backing a licensing brand in this way and also the fact that Mother’s Day has the potential to grow as a licensing gifting opportunity. Kimm & Miller has done a great job of developing a very tight range of products that stand out on shelf. A further seasonal opportunity is, of course, Easter and it was good to see how FMCG brands are playing more of a role in this category. 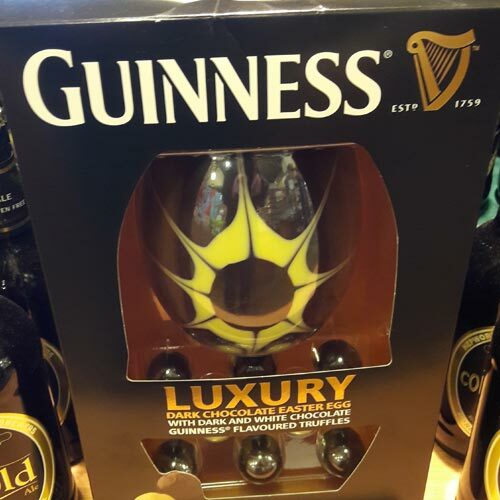 In one farm shop I saw three Easter Eggs using well-known brands and their flavourings to create Easter products: these were Guinness, Baileys and a Famous Brands Whisky product. This is a further example of licensees seeking new ways of creating NPD in a competitive category and the value of ‘lifestyle’ brands in this category. Brands that are well-known, distinctive and strong retail performers. These brands are proven sellers in their core category and it is reasonable to expect that they will appeal in the gifting category. They have a chance of selling versus the strong confectionery brands that are getting better and better at controlling seasonal retail space. Ian Downes runs Start Licensing, an independent brand licensing agency. His Twitter handle is @startlicensing – he would welcome your suggestions for what to look out for.